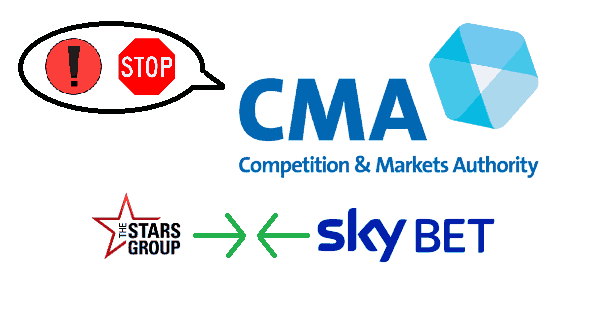 Stars Group has been served an enforcement order by the Competition and Markets Authority (CMA) in the United Kingdom over an arranged deal to acquire Sky Betting and Gaming along with its parent organization, Cyan Blue Topco. This order came after news started spreading that Stars Group had finalized a $4.7 billion acquisition deal for Sky Betting that would end this latter organization's independence. This has created quite a stir among gaming fans and other stakeholders as they wait to see what this enforcement order will mean for them. The CMA made these demands because, according to them, there are reasonable grounds to suspect that the acquisition will reduce the level of healthy competition in the sector. The CMA has also ordered that the companies provide them with compliance information. The three companies that are involved in the deal are now required to provide compliance statements every two weeks. On Oct. 11, The Stars Group announced that the CMA has cleared it to proceed with its acquisition of Sky Betting & Gaming. It will now be able to integrate brands owned by both organizations and to shuffle personnel as it wishes between the two corporations. The enforcement order drafted by the CMA is viewed as a possible prelude to stronger action, potentially including a directive to call off the acquisition. The companies that are the subject of the order must not take any further steps to integrate their wagering products or to compromise each unit's ability to function independently in the marketplace. Both entities must remain separate and must keep their product offerings substantially intact. Neither firm will be able to negotiate with business partners on behalf of the other, and their customer databases will have to remain distinct. Key staff members cannot be transferred between the two corporations, and they're not allowed to share confidential business information. Why Is Stars Group Interested in Sky Betting? As Stars Group stated, after this acquisition, they will gain the status of the world’s largest publicly listed gaming company. What's more, the addition of Sky to Stars Group's portfolio will enable it to drastically diversify its revenue streams. For the year ending 2017, poker accounted for $877 million of the Stars Group's total revenue of $1.312 billion. By contrast, Sky booked £314 million ($411 million) in revenue for betting and just £202 million ($265 million) for gaming, a category that includes poker. One of Stars Group’s main goals was to get a more balanced spread across poker, casino, and sportsbook, and with the acquisition, this objective has been achieved assuming the CMA doesn't halt it in its tracks. Stars has also broadened its geographical reach because Sky has a notable presence in Italy and Germany among other markets. Are the Concerns Raised Justified? In terms of poker traffic, PokerStars dwarfs Sky Poker with an average of 8,200 real money cash game players simultaneously active according to figures from GameIntel.com. 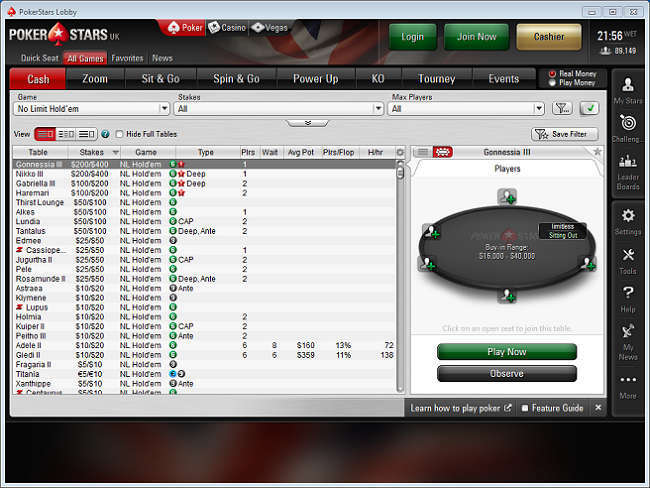 The poker traffic level at Sky is a mere 240 users playing at the same time. It's therefore difficult to see how the merger of the two internet poker rooms would alter the competitive landscape in any major way. We must note, though, that PokerStars already has a dominant position as the largest online poker site in the world. It's conceivable, though unlikely, that the CMA views the Sky purchase as the “straw that breaks the camel's back.” We find this line of reasoning unsound however. Perhaps the CMA's intervention was triggered by questions about the size of the combined sports betting and casino platforms that could be created. However, neither firm has a particularly monopolistic position in either of these two verticals. 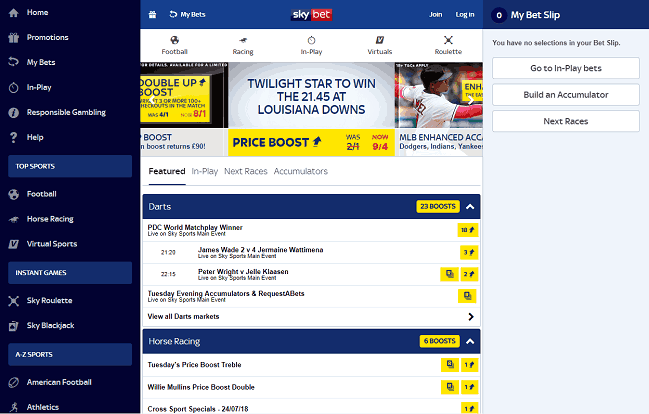 William Hill, Ladbrokes, and Coral each have more sportsbook action while plenty of other online casino providers are ahead of Sky and Stars in revenue. Given the seeming fruitlessness of proving that the Stars/Sky merger would create an anti-competitive gaming environment, we suspect that there may be more going on behind the scenes here. It's possible that the CMA's recent measures were undertaken as a result of a complaint submitted by another gaming company that wishes to hinder the Stars Group in realizing its strategic aims. If such is the case, then Stars' bottom line could indeed be negatively impacted, at least temporarily, even if the CMA eventually allows the transaction to proceed. This isn't the first time that Stars Group has drawn the attention of British regulatory bodies. For instance, in April 2018, the Advertising Standards Authority directed PokerStars to cease broadcasting an ad that it claimed encouraged reckless gambling behavior among viewers. Some of the brands that are part of the Stars Group include PokerStars, PokerStars Casino, BetStars, PokerStars Live, and Full Tilt. All these gaming divisions of the Stars Group are renowned for their superb gameplay quality, well-tested security enhancements, and diversity of product offerings. The company advocates for responsible gaming, which is another reason why it is a favorite among gamers. One of the biggest commitments that they give their customers is that their funds are protected. To this end, they ensure that their customer funds are segregated and restricted from any other use apart from the customers' withdrawal at will.